This Weinstein Co. Exec Believes He Has a Wrongful Termination Case - Do You? This Weinstein Co. Exec Believes He Has a Wrongful Termination Case – Do You? On behalf of Admin of JML Law, A Professional Law Corporation posted in Wrongful Termination on Thursday, Mar 08 2018. After being fired from his position as president and COO of Weinstein Co. in February, David Glasser has filed a wrongful termination suit, with his Los Angeles attorney claiming he was merely a scapegoat. Glasser, and his team of attorneys, reportedly intend to argue that the board of directors at the Weinstein Co. were responsible for failing to put a stop to Weinstein’s now-infamous abusive behavior and sexual harassment. It is alleged that Glasser is seeking compensation of around $85 million, and will name the board members in his lawsuit. What Counts as Wrongful Termination? Compiling a list of reasons why you may be eligible to file a wrongful termination lawsuit is one thing but, in reality, your case will be infinitely more complicated. During decades of practice, a Los Angeles wrongful termination attorney will rarely encounter cases which are the same and, with each seemingly minor difference comes a new layer of complexity. Losing your job unfairly, not to mention the financial strain it is sure to impose your family, can be a traumatic experience, meaning defending yourself is the last thing you feel able to do. Without in-depth legal knowledge and the ability to navigate the complexity of wrongful termination cases arising in Los Angeles and other areas of Southern California, you risk receiving an outcome which is far less than ideal. By seeking legal representation from a Los Angeles wrongful termination attorney, you maximize your chances of recovering the compensation you truly deserve, as well as removing the stress associated with proving your case. 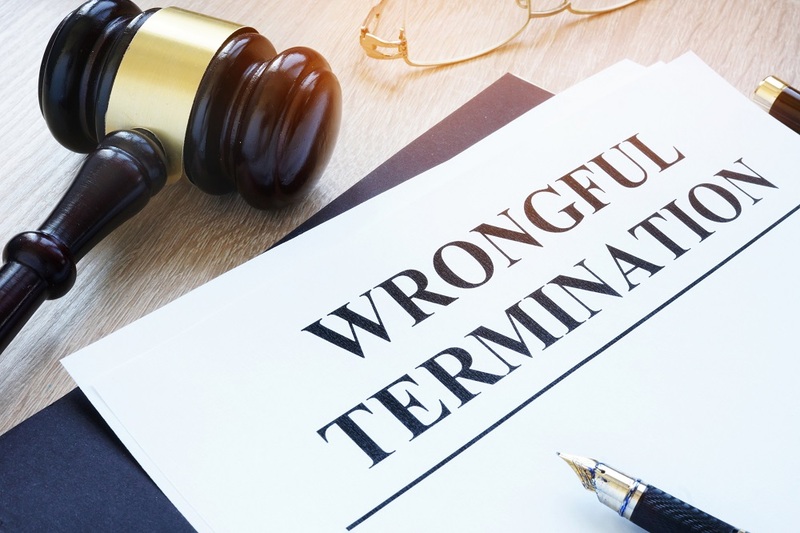 To get the process started, your Los Angeles wrongful termination attorney will need to discuss the specifics of your individual case, before advising on the most appropriate course of action. Call us today on 818-610-8800 to arrange your initial consultation.